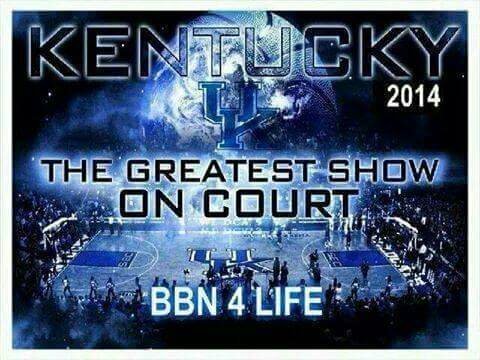 I was just brainstorming ways to describe how the UK Wildcats defeated the UCLA Bruins this afternoon in Chicago. If you’ve read The Sticky Egg with any regularity, you’ve got a strong stomach…and you’ve also probably noticed my girlie crush — veering on obsession — with Craig Ferguson, host of The Late Late Show on CBS. What can I say? He moves me. Should he put the earring back in his left ear? 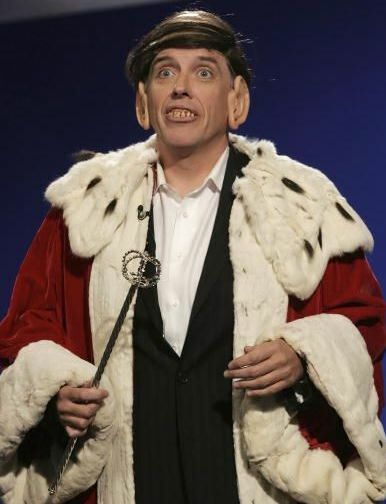 Craig removed the jewel when he started hosting the show six years ago, and had planned to start wearing it again when he turned 60. Apparently yesterday morning he felt 60, so he popped it in…but then just as quickly took it back out. He didn’t think it looked right. Personally, I’ve always thought an earring on a man in a suit looks a bit out of place. If a guy is going to wear an earring, it seems like his entire wardrobe should be a bit more casual. So, if Craig were to start wearing his earring again, I would think his on-screen clothing would need to be reevaluated. What do you think? Vote in my online poll below, and I’ll share the results with Craig’s producers, who I’m sure will react accordingly. It’s one of my favorite drinks from childhood. The taste is sweet and sharp, so unlike that of a real grape. The same goes for its intense purple color that smacks of artificial dyes. So, why isn’t a diet grape soda readily available in supermarkets? It’s easy enough to find diet orange soda; Crush and Sunkist both make tasty versions that are distributed nationwide. But those same brands — which produce grape sodas — do not make a diet grape soda. Why not? Doesn’t it stand to reason that people who drink grape soda might also drink a diet version if it were available? Has some special focus group or secret research revealed that our grape taste buds wither and die once we reach a certain age? I know mine certainly haven’t…and I’m old. The only thing that has changed is my willingness to swallow all the calories in full-strength sodas. If I’m gonna drink grape soda at all, it’s gonna have to be diet. So, Crush, Sunkist — I’m appealing to you because you are the national brands with the widest distribution. 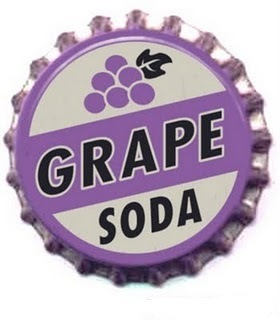 Create a diet grape soda and put it out on the market. Heck, my consumption alone will make it worth your while. Remember, all grown-ups were kids once…and its our ‘inner child’ who still decides what we drink.